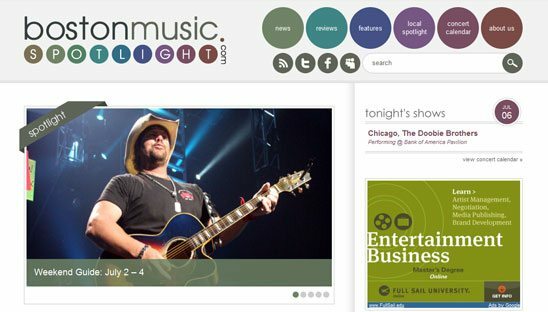 Boston Music Spotlight is a leading source of music news and concert information in the New England region. Updated daily, Boston Music Spotlight provides readers with news, features, interviews, concert reviews, and much more. Founded in 2006, the company is headquartered in the Boston, Massachusetts area. Get it all at BostonMusicSpotlight.com, your source for music news and concert information! This project was one of our social network design packages, which included a custom twitter design, custom myspace design and custom wordpress design. The coding for the wordpress site was very complex and we are in the works of writing a tutorial on how we coded it (keep checking back).